The Rs 93 recharge now offers 1GB of 4G/3G data along with unlimited local and STD calls for 28 days. Previously it offered the same benefits, albeit for ten days. Airtel has refreshed its Rs 93 prepaid plan to offer free calls, 1GB of data at an extended validity period. Under the offer, subscribers will get 1GB of 4G/3G data along with unlimited local and STD calls for 28 days. Airtel users are advised to check if this plan is valid for their circle before recharging. The telco Introduced the Rs 93 recharge back in December last year, which was valid only for ten days. 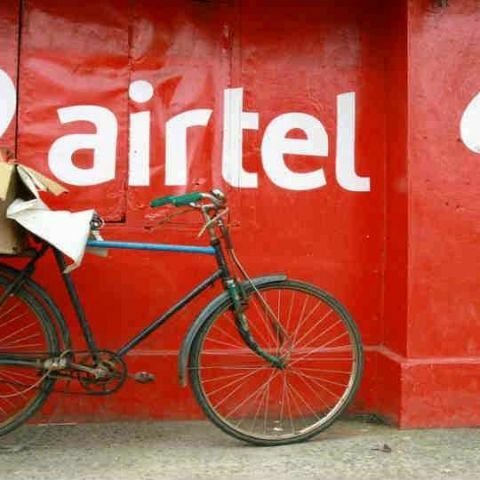 The revamped prepaid plan by Airtel goes up against Reliance Jio’s Rs 98 plan, whose validity was also revised recently. The Jio Prepaid plan now offers 2GB 4G data, free local and STD calls with 300 SMS and complimentary access to the company’s suite of apps like JioTV, JioMags, JioMusic and more. Previously, Jio subscribers would get the same free voice benefits and data, but with a daily limit of 150 MB after which the speed was reduced to 64Kbps and it came with 140 SMS at a validity of 14 days. Alongside refreshing its prepaid plans, Reliance Jio recently announced a new cashback offer exclusive to its Prime subscribers. They will get up to 200 percent cashback (worth Rs 799) after recharging their connections with prepaid plans starting at Rs 398 and above. The new offer is eligible for both new and existing customers and is valid till February 15. Apart from Jio and Airtel, Idea also offers a prepaid pack priced at Rs 93. Under the recharge, a user gets 1GB of 3G/4G data along with unlimited calling capped at 250 minutes per day and 1,000 minutes per week. After crossing the free call limit, they will be charged 1 paisa per second. The prepaid plan comes with a ten-day validity.